Venturing Out Beyond the Beach Has Its Rewards. The glittering oceanside of Rehoboth, and its sand-and-sea sisters, is a wonderful place in which to vacation. But while you’re here, why not discover what’s beyond the beaches? I did so recently, on a day trip to the southwest corner of Delaware. A maven of old houses and towns and back-roads scenery, I love to ditch the main highways and detour into history. So I chose a gaggle of places around Seaford—happily, it turned out, for they offered architectural and scenic delight plus historical richness (of surprisingly southern bent). 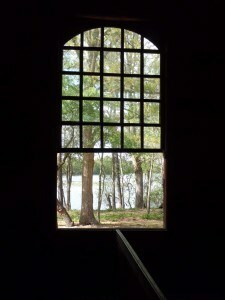 Seaford sits on the upper Nanticoke River, a handsome little burg with an attractive downtown. Despite the name, it’s about as far from the sea as one gets in Delmarva. Yet its connection to the water—Chesapeake Bay—shaped its history. 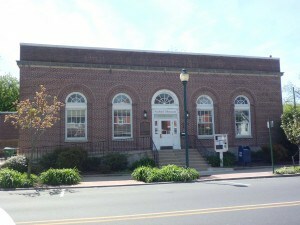 I absorbed that story in the Seaford Museum, in the imposing former post office (1935). Dreading the sort of bland repository that “history museum” implies, I was pleased when this one, opened in 2003 by the Seaford Historical Society, immersed me in the long local timeline with ingenuity and wit. An in-depth exhibit portrays the river pilots, most of them African American. “They knew the river best,” said Blackwell. “When you consider the racism of the day with the responsibilities they were given, it’s a wonderful, wonderful story.” Another display tells the sorrier tale of Patty Cannon, notorious in the 1820s for kidnapping and selling blacks into slavery in the South through a sort of reverse Underground Railroad. And the nylon link? In 1939, DuPont built the world’s first nylon plant here. “Seaford, Sussex, coming metropolis, busily prepares for future greatness,” gushed the Wilmington Sunday Morning Star. North of town stands the Gov. Ross Mansion and Plantation, its 1859 house a delicious version of the Italianate “country villa” popularized by landscape gardener A. J. Downing. Delaware governor from 1851-1855, William Henry Harrison Ross was a popular pol who brought the railroad to Seaford, helping farmers switch from wheat and corn to more pricey crops quickly shippable to Philadelphia (along with those oysters). 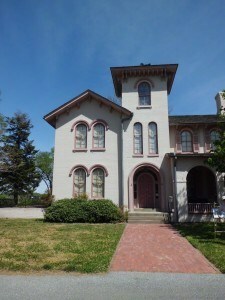 The Historical Society bought the estate in 1976 and has restored it skillfully. The house’s fully furnished period interior, with stylish main parlor, impressed me with its well-preserved woodwork. At the other end is the clapboarded original section from the 1760s. I’m easily diverted by details behind the big picture, so it was fun to eyeball “M.G. Ross” cut into a bedroom window pane by the governor’s daughter Mary—a corny house-tour staple, I know, but a treat just the same. Adjacent is Delaware’s only surviving slave cabin. Yes, Ross kept slaves—the use of “plantation” is your tip-off—and was so strong a Confederate sympathizer (one of many hereabouts) that in 1861 he had to flee to England. 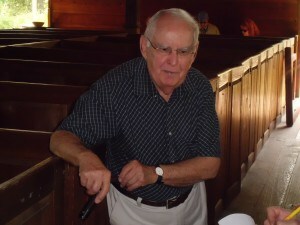 The Ross saga underscores the encounter in Sussex County between contrasting cultures, north and south. Heading downstream, I took the Woodland Ferry—which has crossed the Nanticoke with sundry craft since the 1740s—and drove through Bethel, a leafy hamlet once busy with shipbuilding. Next up was a much older, but only lately credited, chapter of Delaware history. We all know about John Smith, of Jamestown, Virginia fame. Well, he also explored the Chesapeake and tributaries, and in 1608 laid anchor on Broad Creek off the Nanticoke, meeting peaceably with the Nanticoke Indians. The story was news to me, so it was fascinating to visit the Captain John Smith Monument in a creekside park. 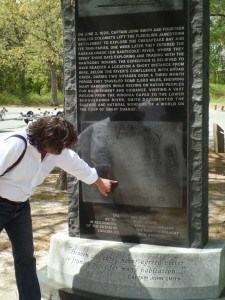 Recent research by Maryland, Delaware, and the National Geographic Society verified Smith’s account, leading to installation of the monument in 2007. It had been a long day for me, deep in Delaware, but somehow I didn’t feel tired as I headed back to the beach, my mind’s eye teeming with places from so long ago—yet here for us still.